Unit testing in Ansible is key to making sure roles function as intended. Molecule makes this process easier by allowing you to specify scenarios that test roles against different environments. Using Ansible under the hood, Molecule offloads roles to a provisioner that deploys the role in a configured environment and calls a verifier (such as Testinfra) to check for configuration drift. 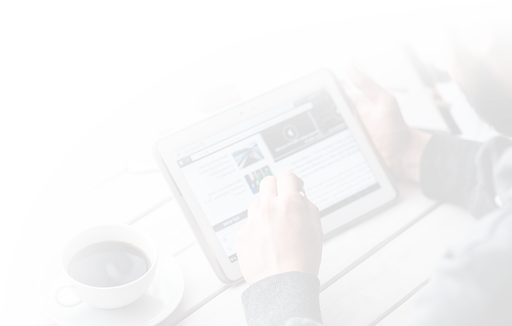 This ensures that your role has made all of the expected changes to the environment in that particular scenario. In this guide, you will build an Ansible role that deploys Apache to a host and configures firewalld on CentOS 7. To test that this role works as intended, you will create a test in Molecule using Docker as a driver and Testinfra, a Python library for testing the state of servers. Molecule will provision Docker containers to test the role and Testinfra will verify that the server has been configured as intended. When you’re finished, you’ll be able to create multiple test cases for builds across environments and run these tests using Molecule. If you’ve followed the prerequisites, you should have Python 3, venv, and Docker installed and correctly configured. Let’s begin by creating a virtual environment to test Ansible with Molecule. molecule: This is the main Molecule package that you will use to test roles. 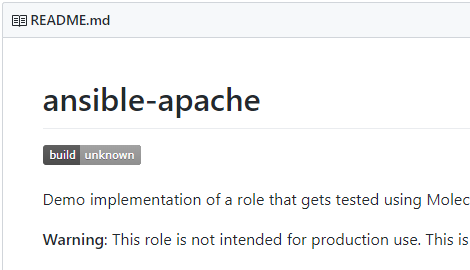 Installing molecule automatically installs Ansible, along with other dependencies, and enables the use of Ansible playbooks to execute roles and tests. docker: This Python library is used by Molecule to interface with Docker. You will need this since you're using Docker as a driver. Next, let's create a role in Molecule. With your environment set up, you can use Molecule to create a basic role that you will use to test an installation of Apache. This role will create the directory structure and some initial tests, and specify Docker as the driver so that Molecule uses Docker to run its tests. The -r flag specifies the name of the role while -d specifies the driver, which provisions the hosts for Molecule to use in testing. Let's move on to modifying the role to configure Apache and firewalld. To configure Apache and firewalld, you will create a tasks file for the role, specifying packages to install and services to enable. These details will be extracted from a variables file and template that you will use to replace the default Apache index page. - name: "Ensure required packages are present"
- name: "Ensure latest index.html is present"
- name: "Ensure httpd service is started and enabled"
- name: "Whitelist http in firewalld"
"Ensure required packages are present": This task will install the packages listed in the variables file under pkg_list. The variables file will be located at ~/ansible-apache/vars/main.yml and you will create it at the end of this step. "Ensure latest index.html is present": This task will copy a template page, index.html.j2, and paste it over the default index file, /var/www/html/index.html, generated by Apache. You will also create the new template in this step. "Ensure httpd service is started and enabled": This task will start and enable the services listed in svc_list in the variables file. "Whitelist http in firewalld": This task will whitelist the http service in firewalld. Firewalld is a complete firewall solution present by default on CentOS servers. For the http service to work, you will need to expose the required ports. Instructing firewalld to whitelist a service ensures that it whitelists all of the ports that the service requires. pkg_list: This contains the names of the packages that the role will install: httpd and firewalld. svc_list: This contains the names of the services that the role will start and enable: httpd and firewalld. Note: Make sure that your variables file doesn't have any blank lines or your test will fail during linting. Now that you've finished creating your role, let's configure Molecule to test if it works as intended. In our case, configuring Molecule involves modifying the Molecule configuration file molecule.yml to add platform specifications. Because you're testing a role that configures and starts the httpd systemd service, you will need to use an image with systemd configured and privileged mode enabled. For this tutorial, you will use the milcom/centos7-systemd image available on Docker Hub. Privileged mode allows containers to run with almost all of the capabilities of their host machine. Now that you've successfully configured the test environment, let's move on to writing the test cases that Molecule will run against your container after executing the role. That the httpd and firewalld packages are installed. That the httpd and firewalld services are running and enabled. That the http service is enabled in your firewall settings. That index.html contains the same data specified in your template file. If all of these tests pass, then the role works as intended. To write the test cases for these conditions, let's edit the default tests in ~/ansible-apache/molecule/default/tests/test_default.py. Using Testinfra, we will write the test cases as Python functions that use Molecule classes. Delete the contents of the file so that you can write the tests from scratch. Note: As you write your tests, make sure that they are separated by two new lines or they will fail. os: This built-in Python module enables operating-system-dependent functionality, making it possible for Python to interface with the underlying operating system. pytest: The pytest module enables test writing. testinfra.utils.ansible_runner: This Testinfra module uses Ansible as the backend for command execution. With your test file configured to use the Ansible backend, let's write unit tests to test the state of the host. The test begins with the pytest.mark.parametrize decorator, which allows us to parameterize the arguments for the test. This first test will take test_pkg as a parameter to test for the presence of the httpd and firewalld packages. In each test, assert will return True or False depending on the test result. Now that you've specified your test cases, let's test the role. Once you initiate the test, Molecule will execute the actions you defined in your scenario. Let's now run the default molecule scenario again, executing the actions in the default test sequence while looking more closely at each. Let's go through each test action and the expected output, starting with linting. yamllint: This linter is executed on all YAML files present in the role directory. flake8: This Python code linter checks tests created for Testinfra. ansible-lint: This linter for Ansible playbooks is executed in all scenarios. The next action, destroy, is executed using the destroy.yml file. This is done to test our role on a newly created container. Skipping, missing the requirements file. Skipping, prepare playbook not configured. Skipping, side effect playbook not configured. The test actions are now complete, verifying that your role worked as intended. 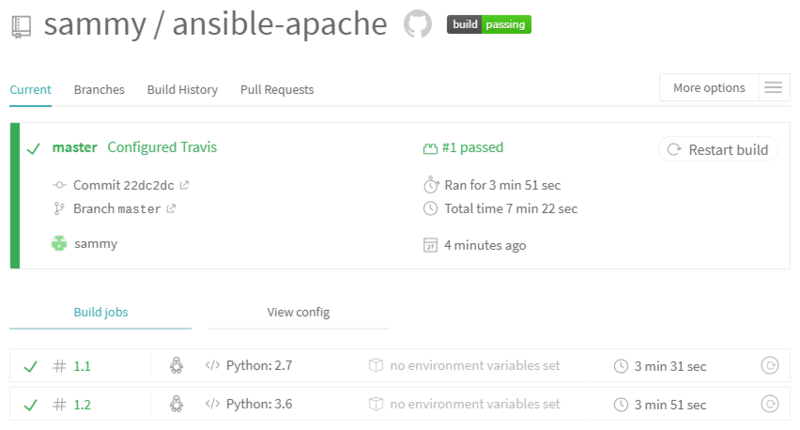 In this article you created an Ansible role to install and configure Apache and firewalld. You then wrote unit tests with Testinfra that Molecule used to assert that the role ran successfully. You can use the same basic method for highly complex roles, and automate testing using a CI pipeline as well. Molecule is a highly configurable tool that can be used to test roles with any providers that Ansible supports, not just Docker. It's also possible to automate testing against your own infrastructure, making sure that your roles are always up-to-date and functional. The official Molecule documentation is the best resource for learning how to use Molecule. Configuration management systems are designed to make controlling large numbers of servers easy for administrators and operations teams. They allow you to control many different systems in an automated way from one central location. While there are many popular configuration management systems available for Linux systems, such as Chef and Puppet, these are often more complex than many people want or need. Ansible is a great alternative to these options because it requires a much smaller overhead to get started. In this guide, we will discuss how to install Ansible on an Ubuntu 18.04 server and go over some basics of how to use the software. Ansible works by configuring client machines from a computer that has the Ansible components installed and configured. It communicates over normal SSH channels to retrieve information from remote machines, issue commands, and copy files. Because of this, an Ansible system does not require any additional software to be installed on the client computers. This is one way that Ansible simplifies the administration of servers. Any server that has an SSH port exposed can be brought under Ansible’s configuration umbrella, regardless of what stage it is at in its life cycle. This means that any computer that you can administer through SSH, you can also administer through Ansible. Ansible takes on a modular approach, making it easy to extend to use the functionalities of the main system to deal with specific scenarios. Modules can be written in any language and communicate in standard JSON. Configuration files are mainly written in the YAML data serialization format due to its expressive nature and its similarity to popular markup languages. Ansible can interact with hosts either through command line tools or its configuration scripts, which are known as Playbooks. Two or more Ubuntu 18.04 servers. One of these will be used as your Ansible server, while the remainder will be used as your Ansible hosts. Each should have a non-root user with sudo privileges and a basic firewall configured. You can set this up by following our Initial Server Setup Guide for Ubuntu 18.04. Please note that the examples throughout this guide specify three Ansible hosts, but the commands and configurations shown can be adjusted for any number of clients. SSH keys generated for the non-root user on your Ansible server. To do this, follow Step 1 of our guide on How to Set Up SSH Keys on Ubuntu 18.04. For the purposes of this tutorial, you can save the key pair to the default location (~/.ssh/id_rsa) and you do not need to password-protect it. To begin using Ansible as a means of managing your various servers, you need to install the Ansible software on at least one machine. Press ENTER to accept the PPA addition. Your Ansible server now has all of the software required to administer your hosts. As mentioned previously, Ansible primarily communicates with client computers through SSH. While it certainly has the ability to handle password-based SSH authentication, using SSH keys can help to keep things simple. Repeat this process for each server you intend to control with your Ansible server. Next, we’ll configure the Ansible server to connect to these hosts using Ansible’s hosts file. Ansible keeps track of all of the servers that it knows about through a hosts file. We need to set up this file first before we can begin to communicate with our other computers. Inside the file, you will see a number of example configurations that have been commented out (with a # preceding each line). These examples won’t actually work for us since the hosts listed in each one are made up. We will, however, keep these examples in the file to help us with configuration if we want to implement more complex scenarios in the future. In this example, group_name is an organizational tag that lets you refer to any servers listed under it with one word, while alias is just a name to refer to one specific server. You should not be prompted for a password if you have set this up correctly. For the purpose of demonstration, we will assume that our hosts' IP addresses are 203.0.113.1, 203.0.113.2, and 203.0.113.3. We will set this up so that we can refer to these individually as host1, host2, and host3, or as a group with the name servers. Hosts can be in multiple groups and groups can configure parameters for all of their members. Let's try this out now. On the Ansible server, we're using a user called sammy. Ansible will try to connect to each host with ssh sammy@server. This will not work if the sammy user is not on the remote system as well. We can create a file that tells all of the servers in the "servers" group to connect as the root user. We can put our configuration in here. YAML files start with "---", so make sure you don't forget that part. Save and close this file when you are finished. If you want to specify configuration details for every server, regardless of group association, you can put those details in a file at /etc/ansible/group_vars/all. Individual hosts can be configured by creating files named after their alias under a directory at /etc/ansible/host_vars. Now that we have our hosts set up and enough configuration details to allow us to successfully connect to our hosts, we can try out our very first command. This is a basic test to make sure that Ansible has a connection to all of its hosts. The -m ping portion of the command is an instruction to Ansible to use the "ping" module. These are basically commands that you can run on your remote hosts. The ping module operates in many ways like the normal ping utility in Linux, but instead it checks for Ansible connectivity. The ping module doesn't really take any arguments, but we can try another command to see how that works. We pass arguments into a script by typing -a. With that, your Ansible server configured and you can successfully communicate and control your hosts. In this tutorial, we have configured Ansible and verified that it can communicate with each host. We have also used the ansible command to execute simple tasks remotely. Although this is useful, we have not covered the most powerful feature of Ansible in this article: Playbooks. Ansible Playbooks are a powerful, simple way to manage server configurations and multi-machine deployments. For an introduction to Playbooks, see this guide. Additionally, we encourage you to check out the official Ansible documentation to learn more about the tool.